I’ve always loved the idea of covering notebooks, I blogged about a simple makeover a while ago here and have had my heart set on adding a few more to my collection. 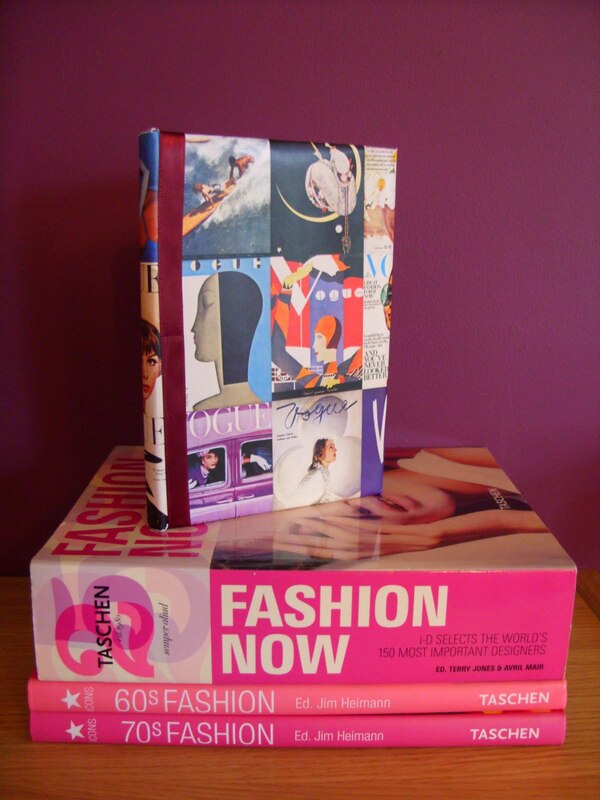 After all a girl can never have too many journals to fill. In the January sales I managed to pick up a pack of three hardback notebooks for just 75p in the Wilko sale, now I knew instantly these would be perfect for my project in mind, with my specific preference being unlined writing paper. This is a very cheap project, and is very simple to do. I have had this Vogue magazine cover for years, tucked away in the midst of my magazine clippings, but I always hung on to it because I knew one day I would find a use for it. And Voila! another one to add to my collection. The real beauty of covering books for me is the fact it gives it a personal touch. oooh what a lovely idea! I covered some shoe boxes in old magazines. My mum wouldn't let me take 8 years worth of NME and Vogue to the new house and I didn't want to bin them. Kept my faves and crafted with the rest. I got a great book from a charity shop today, 'The Cheap Date Guide to Fashion' has some lovely interviews with Viv Westwood and Karl Lagerfeld and great photos of people like Poly Styrene and Chloe Sevigny. Was only 50p! That is a fantastic makeover! 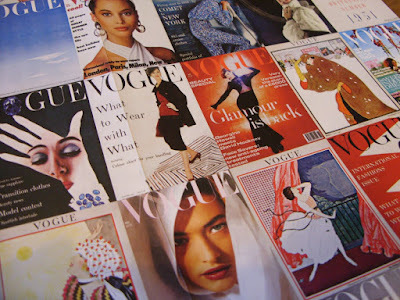 I love the stylish Vogue paper you used, I bet you'll cherish that one for many years to come! Covering notebooks reminds me of being at school... finding wrapping paper to cover them was such fun! I use to always cover books for school and I have one now that needs recovering just can't find anything that inspires me enough to use it! this is a great idea. 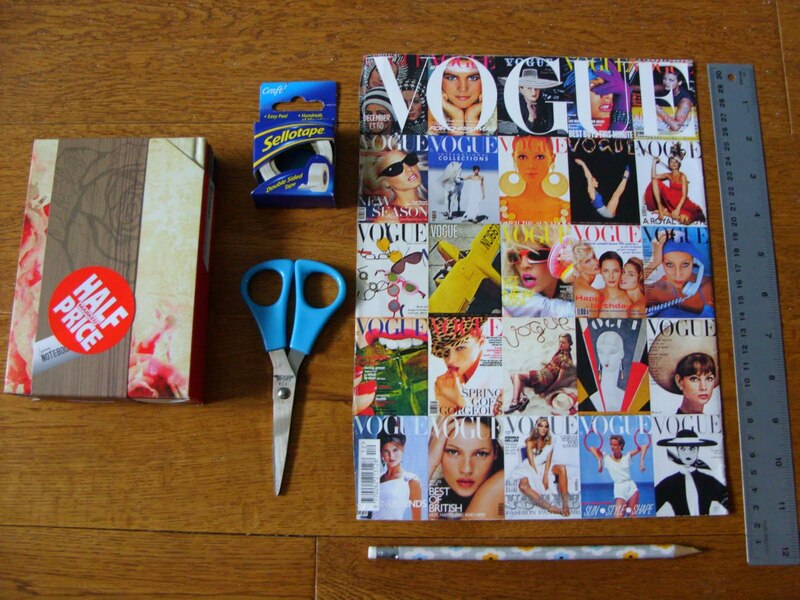 I'm gonna try and save my old magazines so I can recreate this project. Very inspiring! love those vogue cover pics and it makes a gorgeous cover book! i love it! I used to do this back in school, but why not, it's a great idea! Instead of paying extortionate prices for a nice cover, you can make exactly what you want for a fraction of the price!